After my trip to Harvard University this summer to participate in the program, “Family Engagement Education: Creating effective Home and School partnerships for Student success,” I wrote this article with a reflection about the Family Engagement Program and its growth within Klein ISD. Creating effective relationships between the school and the family is imperative to support student achievement, and it must be cultivated every day. Building these relationships requires a positive disposition, time, knowledge and preparation of the school staff as well as the interest and disposition of the families. A bilateral relationship shares responsibility and involves daily effort. Our initiatives must bond with the objectives of the school and the vision of the organization. A good place to start is support the district’s vision, narrowing in on one of its key components: Equity: We will close gaps by personalizing learning by knowing every student by name, strength, and need. 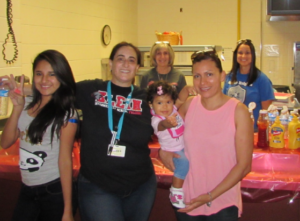 Equity frames the program strengthening family participation throughout Klein ISD. We must start working on what Daren Graves calls “Cultural Domain,” which has a fundamental role in the development and strengthening of the family-school relationship. Living in a globalized, multicultural, and changing world prompt us to adapt to changes, adjust to each new situation, change attitudes, behaviors, and values to be effective. Working based on the cultural values of the families of the community where we live is essential for a strong family engagement program. Another indispensable factor that we must address is the communication between family and school. Two-way communication is essential to meet our goal, and it must be positive, honest, and equal; the district and families need to communicate openly when working together to reach the common goal: the success of our students. In my work as a parent liaison, It has been very gratifying to witness the positive results in our students when we take the time to build relationships between families and schools. Considering the positive impact that the Family Engagement program has had, I hope it continues to grow throughout the entire district to strengthen and empower all families of Klein ISD!